These short, intense, easy-to-follow interval training routines are ideal for those who seek maximum results in minimal time. 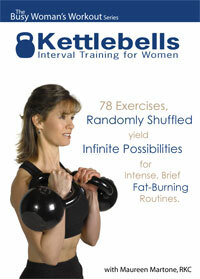 They are a total-body workout for strength and stamina. They are the perfect finisher for strength training or skill work. They are the solution to program design worries. They are the catalyst for burning“stubborn” fat. Yes, they are for just about everyone! 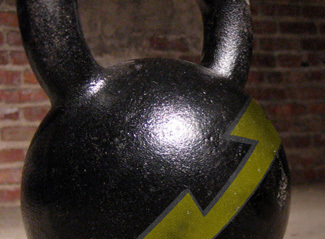 All you need is 4 – 12 minutes and a kettlebell. 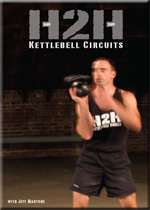 The uniqueness of this DVD is its ability to randomly select different routines for each training session. 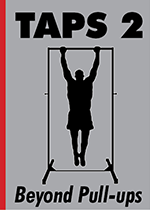 You may choose to focus on particular categories such as: lower body or “Hand-to-Hand™” drills. Selections in duration range from 4 to 12 minutes. There are choices for levels of technical difficulty for beginners and elite athletes alike. When implemented correctly, these brief routines will deliver faster and greater benefits than traditional aerobic or “fat loss” training methods. Fat burning will be greatly accelerated. The novice and elite athlete alike will notice immediate and measurable increases in VO2max, anaerobic capacity, and strength.